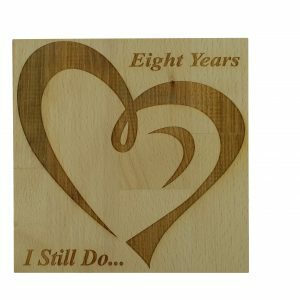 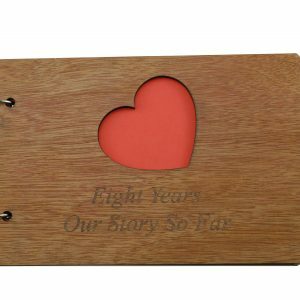 Commemorate your 8th Anniversary with a scrapbook of your years so far, perfect for your eighth year together as a couple or as a married couple. 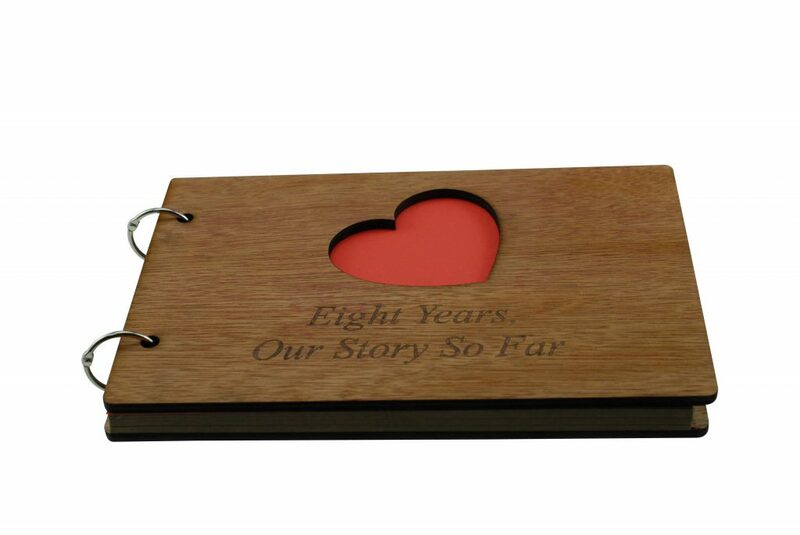 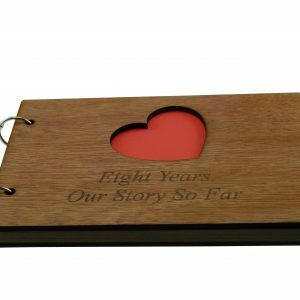 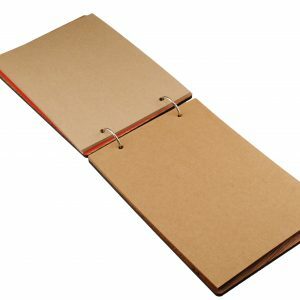 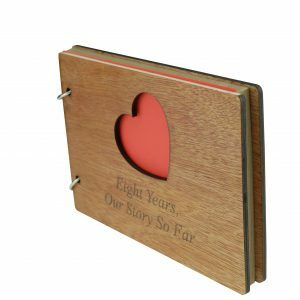 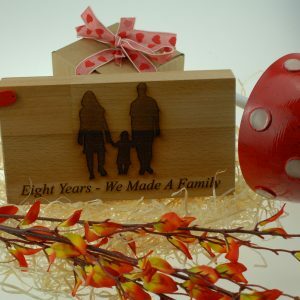 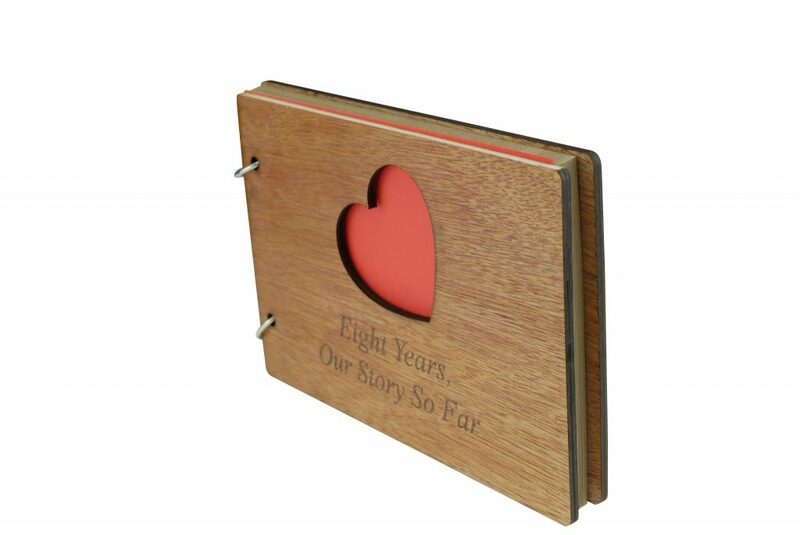 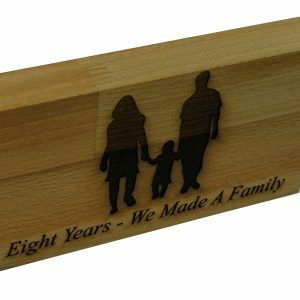 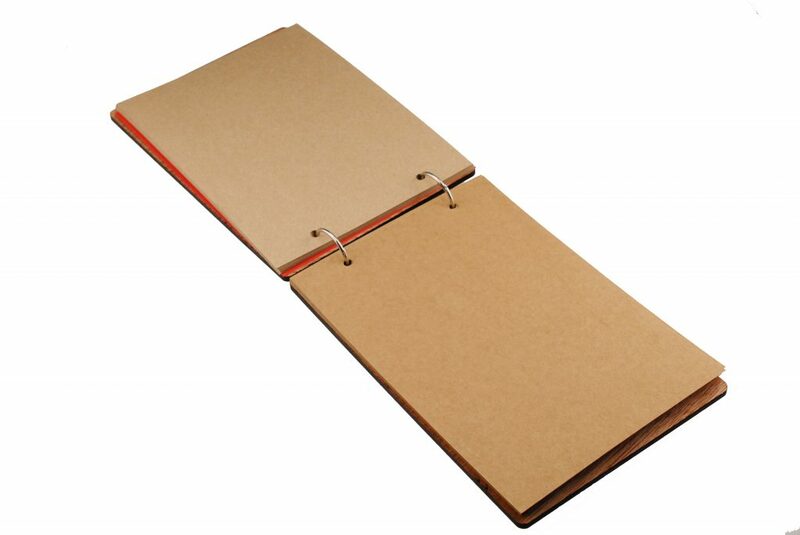 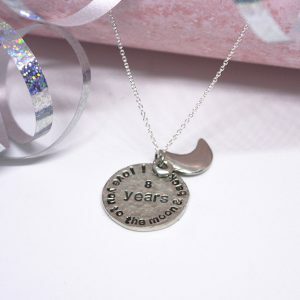 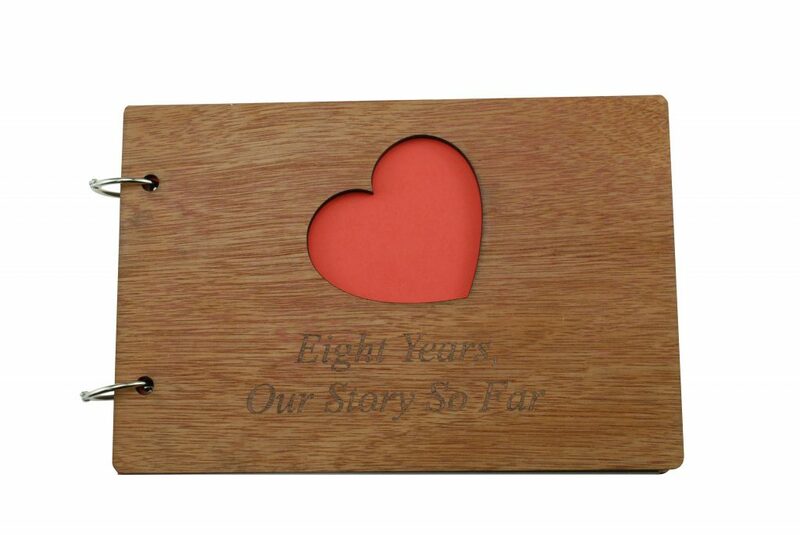 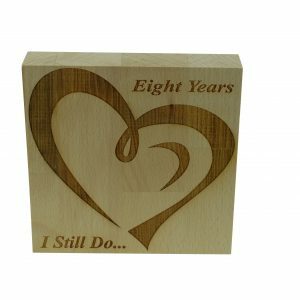 The scrapbook is bound with a quality wooden cover at the front and the back, the front cover has a heart cut out with the inscription laser engraved “Eight Years, Our Story So Far”. 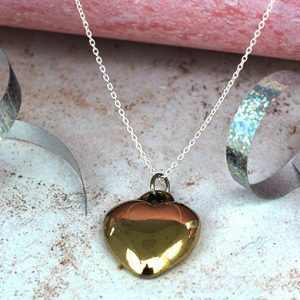 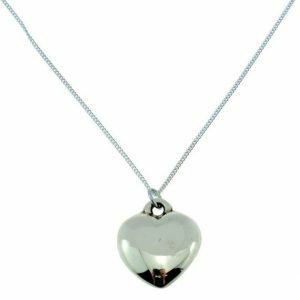 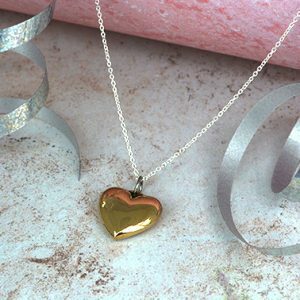 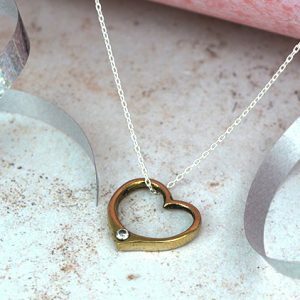 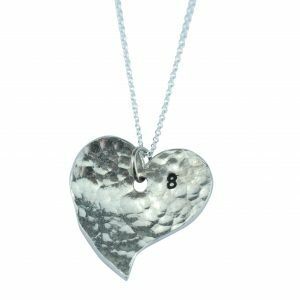 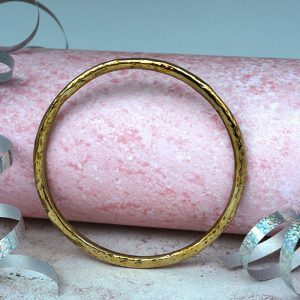 A truly traditional heart pendant in bronze.